I received this book from #kidlitexchange to read in exchange for an honest review. All opinions are my own. 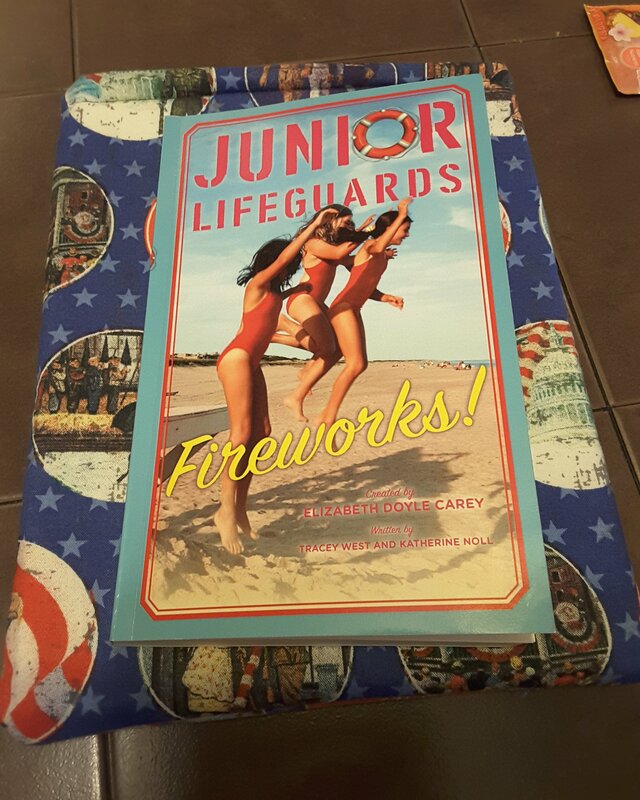 🌟🌟🌟🌟🌟Fireworks (Junior Lifeguards Book 4) by Elizabeth Doyle Carey, Tracey West, and Katherine Noll. Ziggy Bloom has joined Junior Lifeguards with her friends. Ziggy is passionate about animals and comes from a family of environmentalists. Ziggy gathers used fishtanks from the recycling place and takes them to Lookout Beach. Her idea is if all the Lifeguards will help with them, then they can understand how important it is to take care of the environment. Ziggy is very competitive and very strong-willed. From float decorating, to miniature golf, to jealousy over boys, Ziggy must win. But she quickly learns patience is a virtue and friends are friends forever. Review also posted on Instagram @jasonnstacie, Library Thing, Goodreads/StacieBoren, and my blog at readsbystacie.com.